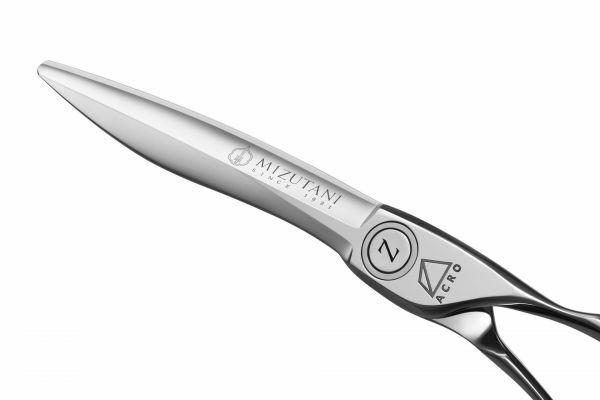 Available Sizes 5.5", 6.0", 6.5", 7.0"
This new addition to the Mizutani Z1 & Z2 uses Nano technology to give you next level steel called Powder Cobalt Metal Steel which is actually know as Sintered Steel. This method uses high pressure to inject the mixture of alloys into the forging. It Consists of smallest participles, and using this method the manufacturer can obtain a very dense, and the highest quality steel. 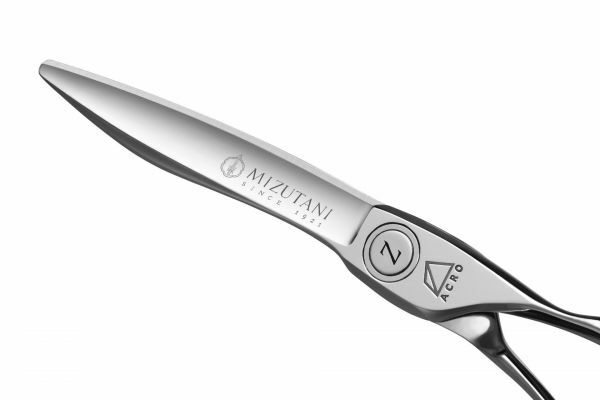 A very sharp shear with a long lasting blade with a super convex Hamaguri edge. Anatomical (Bent thumb ring for comfort) this shear can point cut, and cut with power small and large sections, and can be used as a go to shear for the bulk of your work. The only difference between the Z1 and Z2 models is the top blade on the Z2 is designed with a striking saber blade. Points on both Z1 and Z2 are so close there is no difference, as it would be your preference.